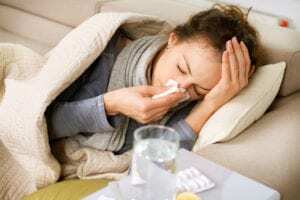 Home Care in Des Plaines IL: How Common is the Common Cold? How Common is the Common Cold? Everyone has heard the term “common cold,” but just how common is this illness? As a family caregiver, it is important for you to understand all health risks your senior may face, even those that seem minor. All forms of illness and infection can put your aging parent at risk of more serious issues, and the better you can protect your parent from these issues, the more care you can give when they are dealing with them and the less likely they are to experience severe complications. Knowing as much as you can about the common cold can help you to better recognize your seniors risk, detect when they might be suffering a cold, and give them the care they need to recover. Cold is the most common illness throughout the industrialized world. The average adult has between 2 and 4 colds each year. This number can be much higher for those dealing with compromised immune systems. Autumn sees the most rapid increase in the number of colds, and this numbers remain high throughout winter, but then decrease in the spring. Rainier seasons promote more cases of the common cold. Throughout the world each year, approximately 25 million people visit the doctor for a basic cold. Stress increases the risk for catching a cold. 95 percent of those who have rhinovirus enter their nose will catch a cold. Only 75 percent of those who catch a cold will be considered “clinically ill”, or exhibit symptoms. The infectious period of the disease is approximately 7 to 10 days, though some people may continue to spread the germs for up to three weeks. Symptoms occur very quickly, often within 10 to 12 hours of exposure to the virus. This is one of the easiest ways to tell the difference between a cold and the flu. Cold symptoms develop rapidly, while flu symptoms worsen more slowly, and longer after exposure to the virus. Even if you are just dealing with a minor cold, you should not provide care for your parent, instead, rely on the services of a home care provider. It is important to remember that seniors have less effective immune systems than younger adults. This makes them more likely to contract illness and infection, and makes it harder for their body to fight these illnesses and infections after they contract them. Even what seems like a minor cold to you can rapidly develop into something much more serious for your parent, including pneumonia. An in-home senior care services provider can step in to follow your parents care routine, give them the care and support they need, and ensure they are kept safe and healthy while you recover from your illness. 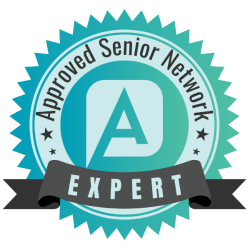 This allows you to get the rest you need to feel better, while also protecting your senior from the transmission of your germs. If you or an aging loved one are considering home care in Des Plaines, IL, contact the caring staff at Companion Services of America today at (847) 943-3786. Our home care service area includes Northbrook, Highland Park, Deerfield, Glenview, Buffalo Grove, Evanston, Des Plaines, Skokie, Lake Forest, Wilmette and the surrounding areas.